Space10 is re-inventing our favorite fast food dishes in a delicious and sustainable way. We’ve all heard that meat is awful for the environment, but that doesn’t make the cravings for a juicy burger easier to ignore. And what’s a backyard barbecue without the hot dogs? Thanks to Space10’s Bug Burger, not-Dog, Microgreen Ice Cream and Neatball, you won’t have to give up your fast food favorites while still staying virtuous. Space10 is all about figuring out ways to make the future a better place to be. They’ve tackled everything from furniture to urban gardening, and now they’re perfecting sustainable, healthy eating. 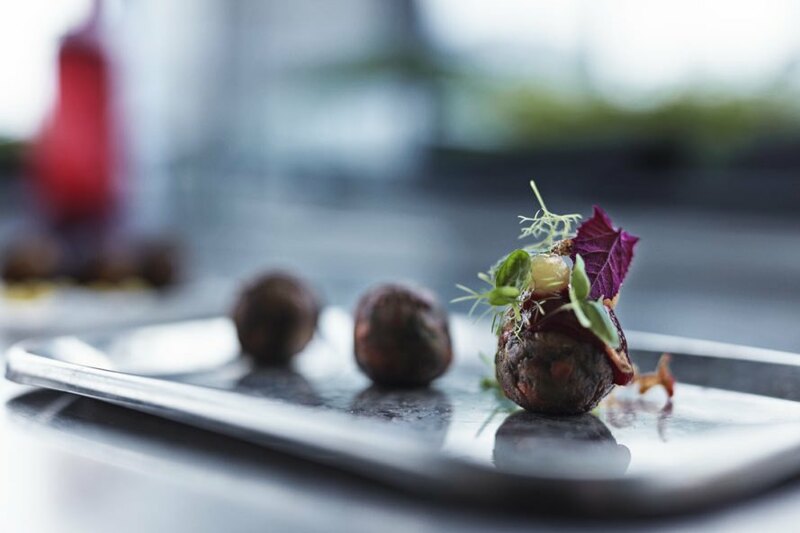 To illustrate their innovations, the IKEA-based group has created a menu that will get your mouth watering. The Dogless Hotdog is a twist on the classic made out of a spirulina bun topped with dried and glazed baby carrots, beet ketchup, cucumber and herb salad. 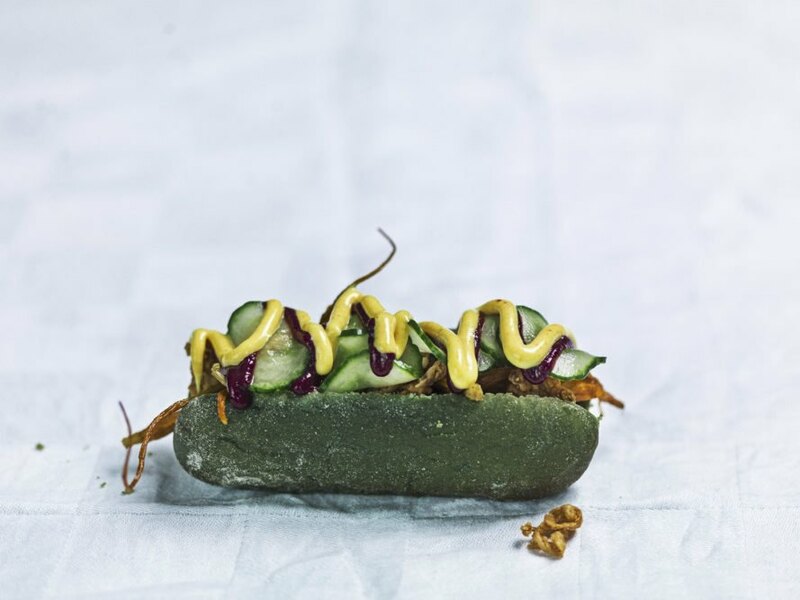 Thanks to the micro-algae bun, it packs more protein than a real hotdog. 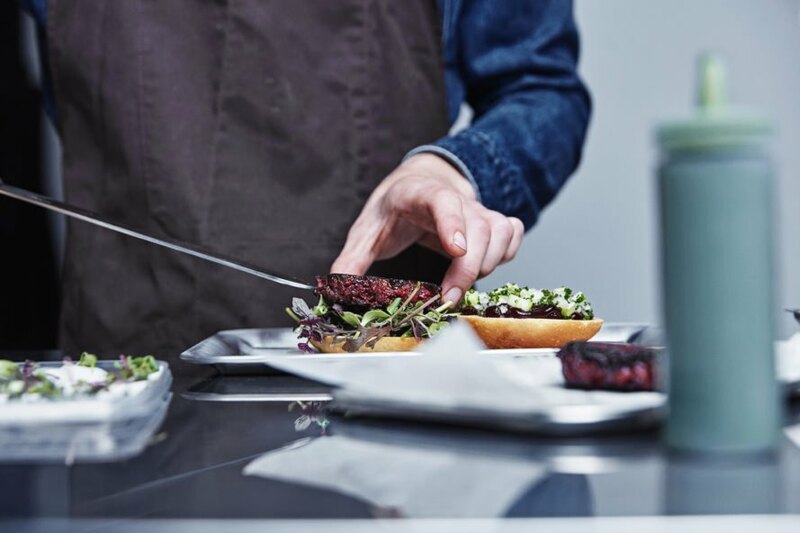 The Bug Burger is made out of beetroot, parsnip, potatoes and mealworm with a locally, hydroponically-grown salad mix topping. We tasted a version of the burger, and trust us, you’ll never miss a beef burger again. Space10 has also taken on the iconic IKEA meatball with the Neatball. One version is made out of mealworms, and another out of root veggies. If all this talk about bugs has you (ahem) bugging out, it’s worth noting that bugs are a sustainable source of protein, but they don’t have to taste like insects. In Space10’s in-house chef’s capable hands, you would never even know that you are munching on mealworm, and that’s their goal. Space10 wants us to move away from carbon-heavy meals without giving up the flavor or convenience of a fast food meal. To round it all out, Space10 created the LOKAL salad, which is made out of microgreens grown hydroponically in the Space10 basement. 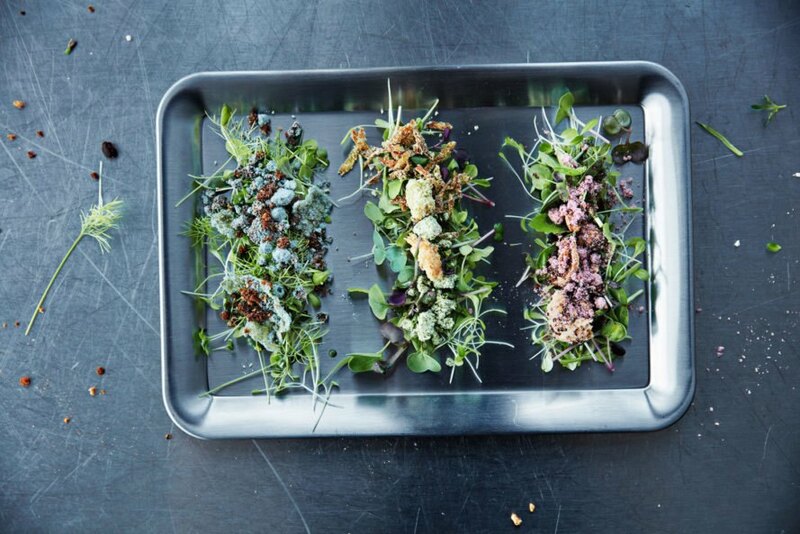 And these aren’t your basic microgreens – the salad options include red frill mustard, lemon balm and borage; pea sprouts, pink stem radish and thyme; and red-veined sorrel, broccoli and tarragon. Don’t worry, they didn’t forget dessert. 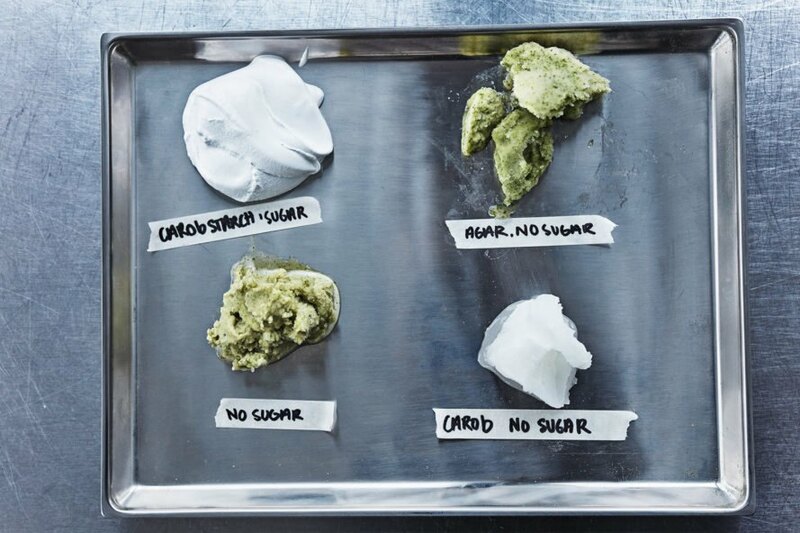 Their microgreen ice cream is made out of fennel, coriander, basil or mint with a low-sugar base sweetened with apple juice, apples and lemon juice. Sadly, you can’t get these treats anywhere but Space10 right now, but next time you wish you had a burger, imagine the possibilities. Space10 is re-inventing our favorite fast food dishes in a delicious and sustainable way. We've all heard that meat is awful for the environment, but that doesn't make the cravings for a juicy burger easier to ignore. And what's a backyard barbecue without the hot dogs? Thanks to Space10's Bug Burger, not-Dog, Microgreen Ice Cream and Neatball, you won't have to give up your fast food favorites while still staying virtuous AF. hanks to the micro-algae bun, it packs more protein than a real hotdog. Space10 is all about figuring out ways to make the future a better place to be. They've tackled everything from furniture to urban gardening, and now they're perfecting sustainable, healthy eating. The Dogless Hotdog is a twist on the classic made out of a spirulina bun topped with dried and glazed baby carrots, beet ketchup, cucumber and herb salad. In Space10's in-house chef's capable hands, you would never even know that you are munching on mealworm, and that's their goal. If all this talk about bugs has you (eh-hem) bugging out, it's worth noting that bugs are a sustainable source of protein, but they don't have to taste like insects. 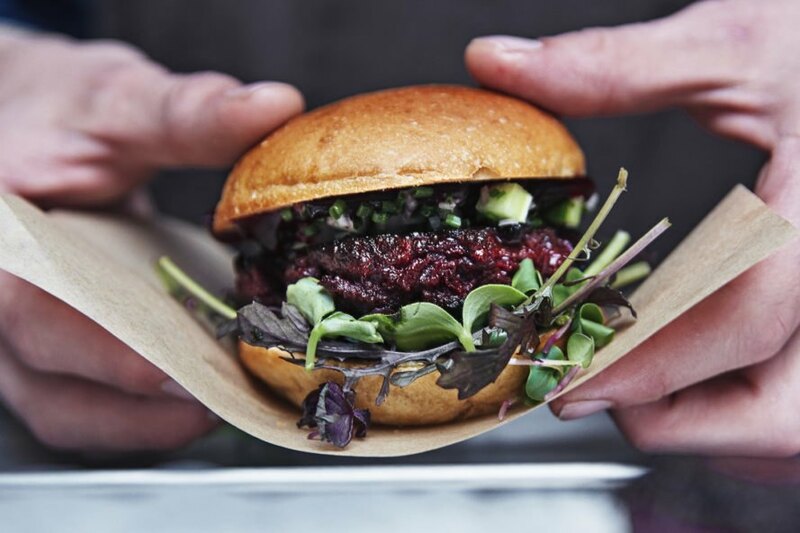 The Bug Burger is made out of beetroot, parsnip, potatoes and mealworm with a locally, hydroponically-grown salad mix topping. To illustrate their innovations, Space10 has created a menu that will get your mouth watering. We tasted a version of the burger, and trust us, you'll never miss a beef burger again. To round it all out, Spac10 created the LOKAL salad, which is made out of microgreens grown hydroponically in the Space10 basement. Space10 wants us to move away from carbon-heavy meals without having to give up the flavor or convenience of a fast food meal. Sadly, you can't get these treats anywhere but Space10 right now, but next time you wish you had a burger, imagine the possibilities. And these aren't your basic microgreens - the salad options include red frill mustard, lemon balm and borage; pea sprouts, pink stem radish and thyme; and red-veined sorrel, broccoli and tarragon. Space10 has also taken on the iconic IKEA meatball with the Neatball. Don't worry, they didn't forget dessert. 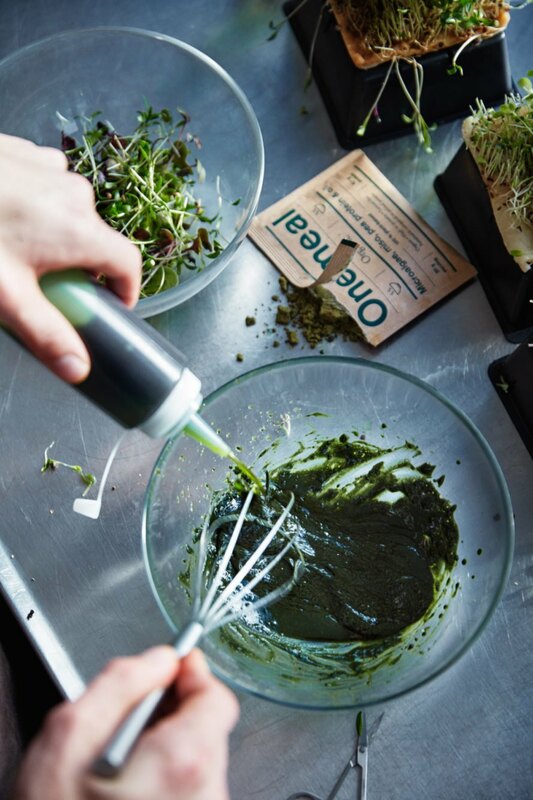 Their microgreen ice cream is made out of fennel, coriander, basil or mint with a low-sugar base sweetened with apple juice, apples and lemon juice. Space10 is re-inventing our favorite fast food dishes in a delicious and sustainable way. We've all heard that meat is awful for the environment, but that doesn't make the cravings for a juicy burger easier to ignore. And what's a backyard barbecue without the hot dogs? Thanks to Space10's Bug Burger, not-Dog, Microgreen Ice Cream and Neatball, you won't have to give up your fast food favorites while still staying virtuous.